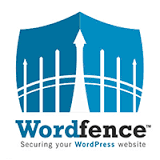 We are now recommending the WordFence security plugin as the highest level of WordPress site security. With over a million installations and a very high (4.9 out of 5) rating, we just haven’t seen another security plugin that approaches the features, capabilities and reliability of this plugin. The plugin scans your site for every imaginable issue, comparing your WordPress installation, theme and plugins against their own stored copies of them. Its firewall blocks hostile agents from your site – with configurable parameters – and presents a report of the blocked agents. It also monitors people who login or attempt to login for threats. It also scans for malware. The features are almost too good to be true and yet the price is free – though there is a paid version which we will be investigating. We’ll post another review after we’ve experienced a few months of the paid version. This entry was posted in Wordpress Security and tagged security, wordpress plugin on March 29, 2016 by Rod Weston.